For over a decade, Amazon offered free shipping to U.S. addresses for orders that totaled a minimum of $25. 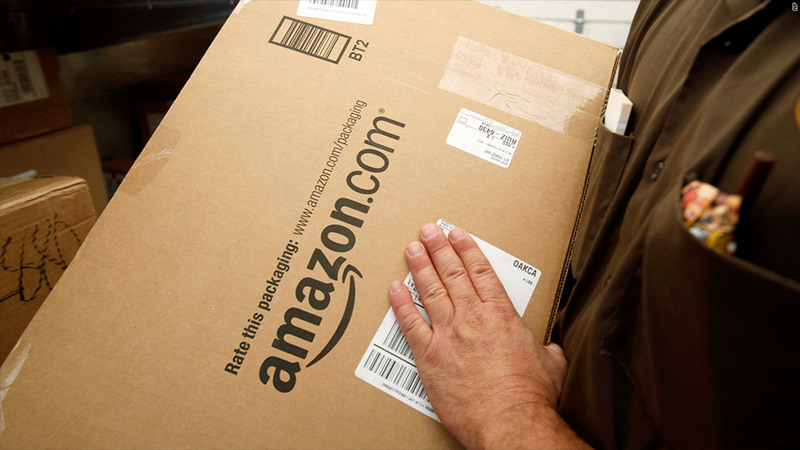 Amazon has raised its free shipping minimum order to $35. The change came after a decade of free shipping to U.S. addresses on a minimum order of $25 on Amazon.com. It took effect Tuesday, just ahead of the holiday shopping season, according to Amazon.com spokeswoman Julie Law. Amazon now finds itself in the mid-range of major retailers that offer free shipping on online orders. Wal-Mart (WMT) and Target (TGT) offer free shipping on many purchases of over $50, while Best Buy (BBY)'s minimum order is $25. Earlier this year, Amazon.com (AMZN) had warned that its shipping costs were going to increase during the holiday season. Free shipping lures in customers. In the first half of this year, Amazon said about 30% of its sales increase in North America came partly from free shipping offers. Shipping isn't cheap, though, especially during the holidays. In the last three months of last year, Amazon spent nearly $1.8 billion on shipping. The company wouldn't say how much it spends on free shipping. The company is set to report its quarterly earnings on Friday. Amazon customers with prime membership of $79 a year will continue to get their purchases shipped for free.